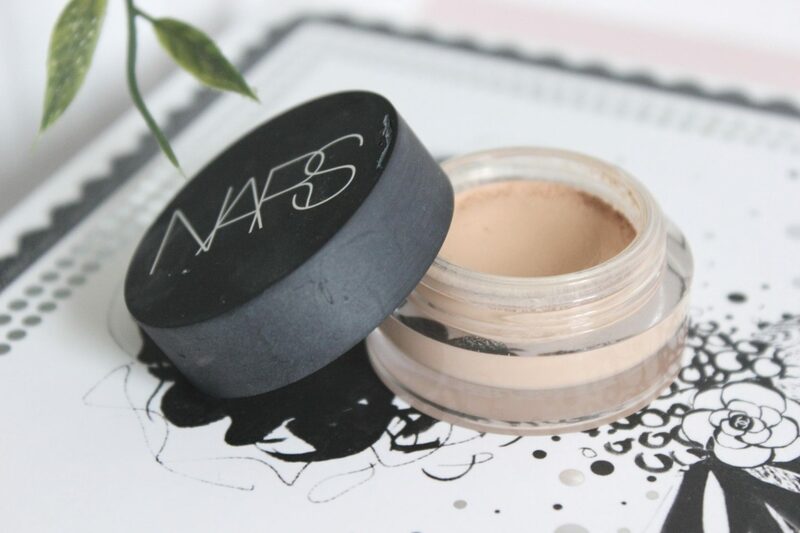 Nars Soft Matte Complete Concealer Review - a little pop of coral. 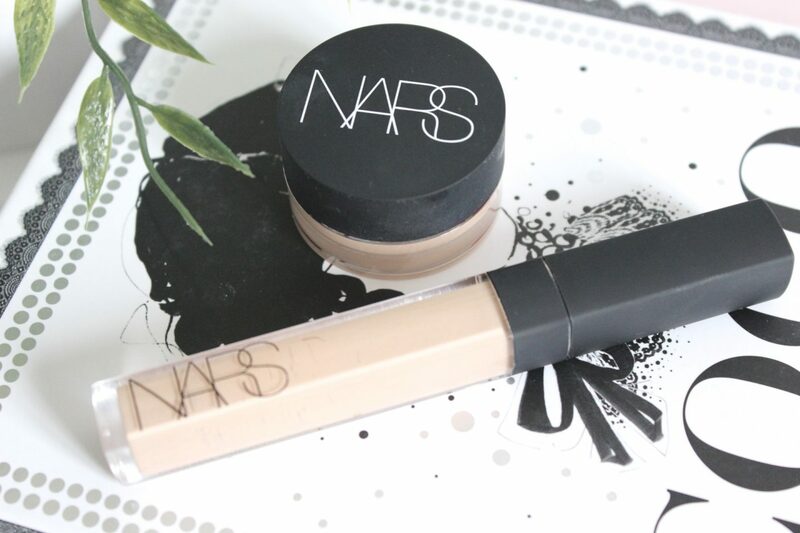 When I heard Nars was launching a new concealer, I was all ears! The Nars Radiant Creamy Concealer is one of my all time favorites, not only because its creamy texture hides dark circles and blemishes incredibly well, but the shade Custard matches my light to medium skin tone perfectly, I find its yellow tones work well with my warm skin tone. The new Nars Soft Matte Complete Concealer comes in pot format (which I know not everyone will be a fan of) and is a full-coverage, oil-free concealer that is an unbelievably lightweight cream that blurs imperfections and conceals, leaving a smooth, matte and very natural finish. This concealer is honestly like nothing else I’ve tried, I am blown away by how incredible it is! Let me start by saying that I use concealer everyday of my life and have tried countless brands and formulas. I use it to cover dark circles, blemishes, redness and other imperfections on a daily basis. I have never had the best skin in the world (although it has improved considerably over recent years), so I always have some imperfection to conceal, and battle with an oily t-zone that products love to slide off of, so I really need a concealer that can stand the test of time! The Nars Soft Matte Complete Concealer is my new best friend, it has a creamy texture but when you apply it to the skin, it is so lightweight that it melts into the skin instantly requiring no heavy blending or patting. You can literally take some on your finger, swipe across your skin and you are covered! I have been mainly been using my finger to apply this as it is just so easy, but have also tried it with my favorite concealer brush the Real Techniques Setting Brush and also with a Beauty Blender and whichever way you prefer to do it, it applies beautifully. It leaves a matte finish on the skin, but it doesn’t make the skin look flat or cakey and actually contains hyaluronic acid to hydrate, collagen-boosting peptides to reduce the appearance of wrinkles, and antioxidants to deliver defense. Only time will tell with the wrinkles, but I do love the addition of hyaluronic acid that keeps the skin plump so that the concealer doesn’t settle into fine lines. I was initially a little worried putting a matte concealer under my eyes, but it doesn’t settle in my fine lines at all and I actually find it to be quite smoothing. The coverage is amazing, covering dark circles and blemishes with ease, and I also find that it blurs pores too! I just find it quite unbelievable that something so lightweight can cover so well and look so natural, it really is the perfect little multi-tasker! 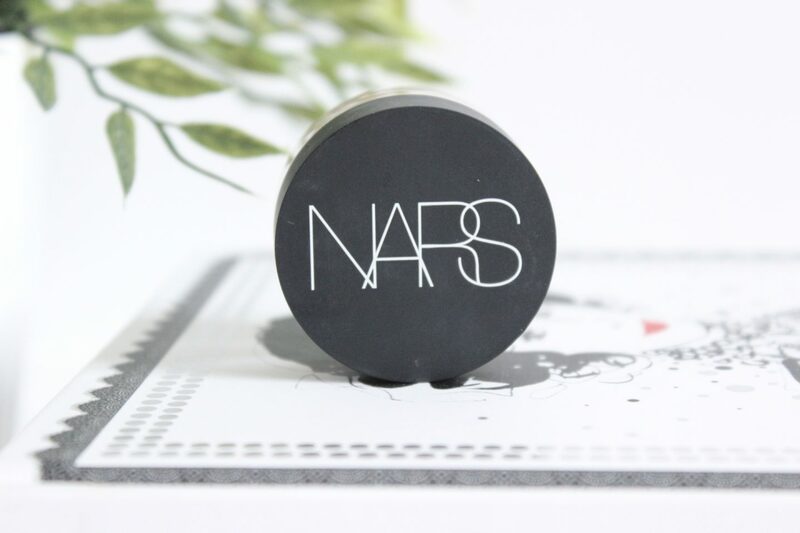 A lot of people will want to know how it compares it to the Nars Radiant Creamy Concealer, as it is a firm favorite with many and I myself am a huge fan of this too and have been using it for years. The first obvious difference is the packaging of a pot compared to a tube and doe foot applicator. Yes the doe foot applicator is probably more hygienic, but I feel that the packaging is suitable for each concealer, the Radiant Creamy Concealer being more fluid than the Soft Matte Complete Concealer, so it is fitting that the new concealer is in a pot. 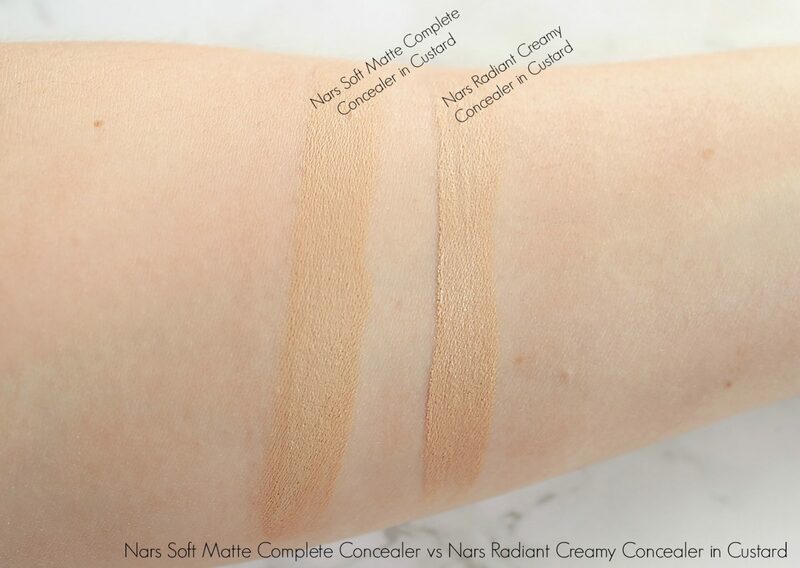 I found the shade Custard to be identical in both formulas as you can see from the swatch below, so it is therefore easy to select your shade if you have bought the Radiant Creamy Concealer previously. In terms of coverage, I would say that the Soft Matte Complete Concealer is slightly better than the Radiant Creamy Concealer and it covers blemishes more easily and stays put longer. People with oilier skins tend to be more prone to breakouts, so I think the matte formulation of the new concealer would probably suit them better. I do however still really enjoy using the Radiant Creamy Concealer, especially under the eyes, where I know people with a drier skins will enjoy more of a creamy formulation. Its all just down to personal preference really, both are great concealers, but as somebody with an oilier skin, I am really enjoying the matte formulation, ease of blending and longevity of the Soft Matte Complete Concealer a little more. 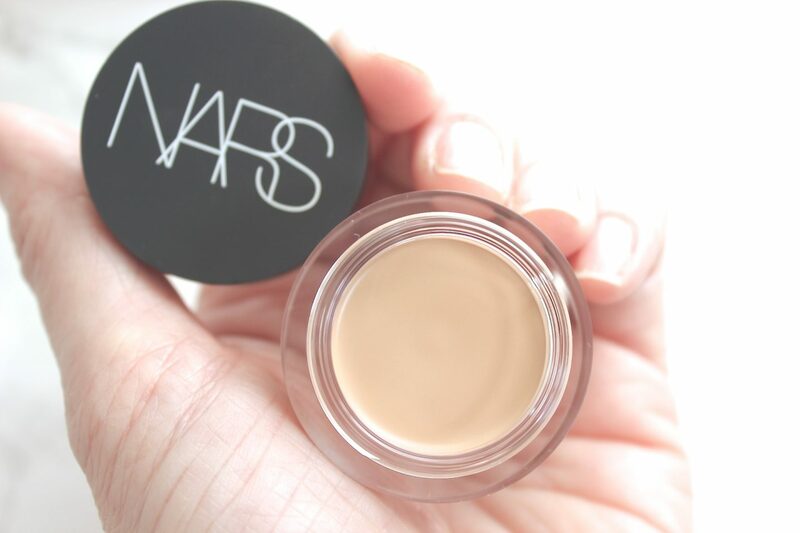 I think the Nars Soft Matte Complete Concealer, is phenomenal! It delivers a flawless, full-coverage finish with the smallest amount of product and manages to look natural too. It is comfortable to wear and stays put all day too, I could not be happier with this new launch from Nars!